DON’T LEAVE MONEY ON THE TABLE!!! The City of Waxahachie has recently updated the historic tax exemption and incentive programs for residential properties. Make sure you take advantage of these new programs! Historic Resources and property within a Historic Overlay District shall be eligible for a historical appraised tax value exemption of twenty-five percent (25%) of the City portion of the property taxes on the appraised value of the property. Download the application. Eligible Historic Resources or property within a Historic Overlay District shall be entitled to a reinvestment tax incentive of up to 50 percent (50%) of the City portion of the total property tax bill for restorations that amount to one thousand two hundred and fifty dollars ($1,250) or more. This is in addition to the 25% exemption described above. Download the application. Eligible properties may apply for a reinvestment tax incentive of up to 25 percent (25%) of the City portion of the total property tax bill for routine maintenance projects that amount to one thousand two hundred and fifty dollars ($1,250) or more. This is in addition to the 25% exemption described above. To be eligible for the historical appraised tax value exemption or tax incentive, the owner of the Historic Resource or property within a Historic Overlay District must make application annually prior to the 15th day of March to the City of Waxahachie. Applications received after March 15th will be considered for the next tax year. 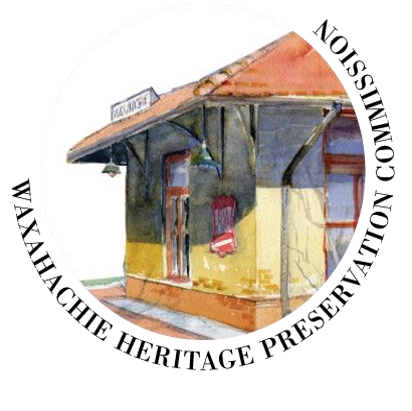 For more information contact Anita Brown, Heritage Preservation Officer, 469-309-4111 or abrown@waxahachie.com.